North Myrtle Beach is a great family vacation destination, and there is a lot for families to do and see while they’re here. If you are traveling with kids, you could be looking for some great activities to enjoy on your vacation. For many families, Alligator Adventure is a must-see. In fact, it’s rated as the number one attraction in North Myrtle Beach. This is a quick guide to help you and your family get the most out of your visit to Alligator Adventure. Known as the reptile capital of the world, Alligator Adventure is home to many different reptiles and other animals. Of course, there are plenty of alligators to be found at Alligator Adventure, but that’s not all that you and your family will see and experience while you’re there. Add a trip to Alligator Adventure to your itinerary when you and your family visit Myrtle Beach, and you won’t be disappointed. Before you purchase your tickets and add Alligator Adventure North Myrtle Beach to your itinerary, you could be wondering what, exactly, you and your family will be able to do when you’re there. These are some of the fun attractions that you can enjoy while spending a day in the park. The animal lovers in your family are sure to be impressed by the array of wildlife that can be found at Alligator Adventure. If you’re visiting for the gators, you can enjoy seeing American alligators, Chinese alligators and albino alligators. 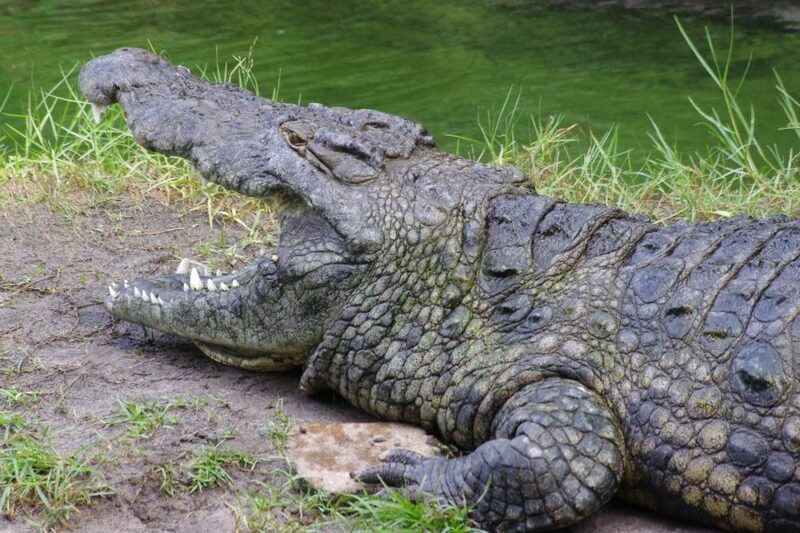 Alligator Adventure is also home to “Bob,” who got her name because when she was born in 1997, she was born without a tail. Along with gators, there are many other reptiles for you to enjoy at Alligator Adventure. Crocodiles, false gharials, caimans, turtles, tortoises, lizards and snakes. There are also members of the amphibian family, with a nice selection of frogs. Of course, even though Alligator Adventure is the reptile capital of the world, there are more than just reptiles and amphibians there for you to enjoy. Monkeys, marmosets, lemurs, hyenas and birds all call Alligator Adventure home. Of course, going around and seeing all of the different animals might be enough to keep you and your family entertained for the day. However, there’s even more for you to do while you’re at Alligator Adventure. The park also offers a variety of live shows for guests to enjoy. While you’re sitting down and catching a break from the hot South Carolina sun, you can experience the animals in a whole different way. You can watch live alligator feedings if you visit between mid-April and mid-October. While you’re watching the huge gators jump into the air to devour their dinners, you will have to chance to ask questions and learn more about what gators eat and more. Plus, the on-staff veterinarian is sometimes there during the alligator feedings to chat with guests and provide even more answers to their questions. If you’re more into the legless reptiles of the world, you can also enjoy live snake feedings. These are shown all year long and will give you a chance to learn more about the often misunderstood snakes of the world. If you’re into gators but aren’t visiting during the months of the year when there are live gator feedings, you can still catch an alligator show. Even though alligators don’t eat during the colder months, you can still witness them being handled at an alligator handling and lecture. This is a great opportunity to learn more about these fascinating reptiles. 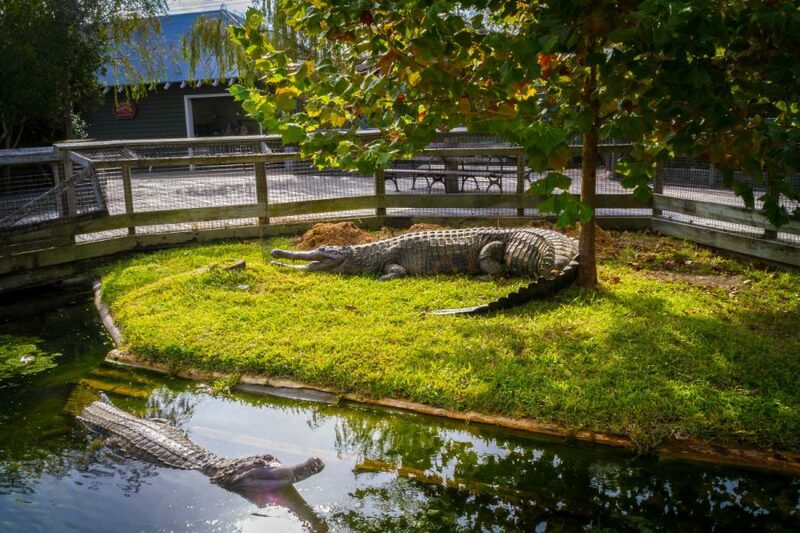 If you want to know what to expect before you get there, you could be looking for some help with planning your trip to Alligator Adventure. These are a few tips that can help you with the planning process. Prices at Alligator Adventure are very reasonable. Those from ages 13 to 61 can visit the park for the entire day for just $24.99 per person. Seniors ages 62 and older only pay $22.99, and children ages four to 12 can get tickets for only $16.99. Children under the age of three years old are allowed to visit the park for free. There is also a 10 percent military discount for up to six people. Right now, Alligator Adventure is also offering a free 2nd day ticket for all who purchase tickets. This means that you and your group can visit again for a second time within seven days of your first visit without having to pay a dime. It’s a great way to go back and see anything that you might have missed on your first visit. If you are going to be spending a lot of time in the Myrtle Beach area this year, then you and your family might have so much fun at Alligator Adventure that you would like to visit again and again. Luckily, Alligator Adventure offers season passes for just this reason. Annual passes for children are only $49.99, and they are $69.99 for adults. You probably don’t want to waste any time trying to find your way around the park when you get there. Instead, you’ll probably want to get to the action right away. Luckily, you can download a park map off of the Alligator Adventure website. Download and print it out, and then you can start planning which areas of the park you want to visit first when you arrive! Alligator Adventure is located on Highway 17 at Barefoot Landing in North Myrtle Beach. It’s an easy drive from many of the vacation rentals and resorts in the area. Of course, there is no shortage of things to do and see when you and your family are visiting Myrtle Beach. One thing that you will probably not want to miss while you’re here, though, is Alligator Adventure. It’s the perfect destination for families.